In an online chat, SLP Donna Murray discusses how to address co-occurring conditions to create an effective learning environment for children with autism spectrum disorder. Participant: If a participant was to remember or put into practice only one idea from your session, what would that one key takeaway be? Donna Murray: I think the most important takeaway is to consider co-occurring conditions when making accommodations for successful intervention. For example, anxiety is very common in children with ASD and providing use of visual supports to predict upcoming activities as well as ending of activities can be very helpful in reducing anxiety and opening up the student for learning. Participant: What are some initial steps to expand interest and increase attention to other tasks or activities for children with co-occurring hyperactivity? Participant: Could you elaborate on going from “assessment to intervention”? Murray: When working with a student with ASD, each is very individual. We know ASD is a heterogeneous disorder. Additionally, we know that a high percentage of children with ASD have a co-occurring medical or mental health condition that often impacts overall functioning. 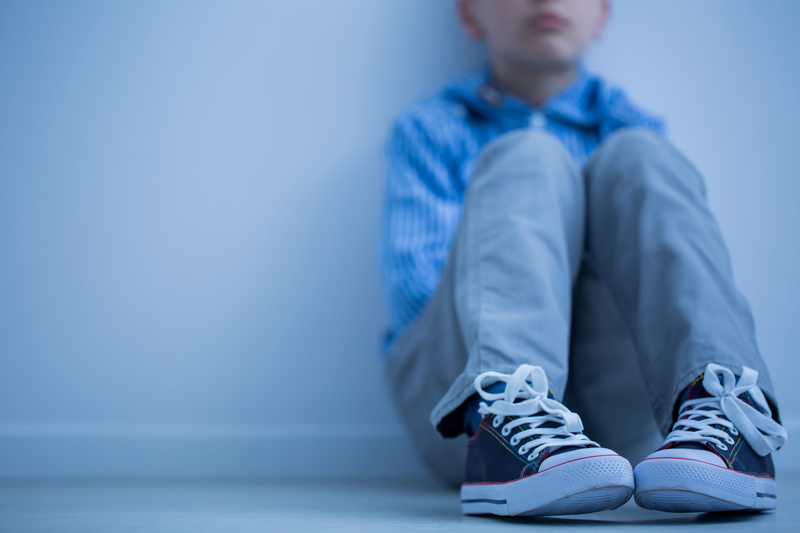 Often these co-occurring conditions are overlooked and assumed to be part of the ASD diagnosis, but they actually are occurring with ASD, not as a part of ASD. While addressing core symptoms of ASD often takes long periods of intervention, we may be able to positively impact overall functioning by accommodating for co-occurring conditions such as anxiety or ADHD, or making appropriate referrals to address medical issues such as GI [gastrointestinal] or sleep issues. As professionals working closely with children with ASD, we are often the ones that parents report to, or we observe these potential concerns, and, by making timely and appropriate referrals, we can help get them addressed more quickly. Participant: I’ve found sleep disturbances to be a very common co-occurring condition in the students I work with. Which professionals do you recommend as collaborators for families and school personnel? Murray: I would first recommend that the parent consult the child’s primary care physician. There are frontline approaches such as sleep hygiene interventions. Many physicians handle early sleep issues themselves or, if needed, have referrals for more complex issues. There are also psychologists that specialize with pediatric sleep issues. There are a range of interventions, from behavioral approaches to medications, so I would have the family work with their primary care physician or a specialist such as a developmental or behavioral pediatrician. Participants: What are your thoughts on medication to treat anxiety for teens and young adults with ASD? Murray: I think medications are a very personal choice for families. However, there are many families that report good success for the co-occurring symptoms of autism with a combination of intervention and medication. There is not a medication for “autism,” so families need to consider the most interfering symptoms and then consider if medication is a good option for their loved one with ASD. Medication trials can be challenging, and it often takes multiple attempts to find the correct medication and dosage. Participant: Should we inform parents upfront of common co-occurring conditions associated with ASD? Murray: I think we should consider these during history intake interviews. Knowledge of these co-occurring conditions can assist us in determining the best approach to intervention and what accommodations to make to the therapeutic environment. Participant: When it comes to visual schedules, do you have any tips on getting buy-in from teachers? Murray: I know it is a lot of work to initially develop visual supports, but it is one of the best investments a teacher can make! I usually tell folks that if they can make one accommodation, the use of visual supports has the “biggest bang for the buck.” The time put in in advance will pay off in reduced time down the road, especially in establishing routines and clarifying expectations. Additionally, visual schedules help reduce behaviors, and many teachers have commented to me that visual supports help a number of students in the class—not just the child with ASD! Autism Speaks has a tool kit on their website for visual supports. You may find this helpful to share with the teacher. Participant: Do you have any tips for treatment in a nonverbal preschooler with ASD? Murray: I like to first establish engagement in early/young communicators with simple back- and-forth activities to establish the back and forth of interaction. This establishes shared attention to tasks, and you can pull the child into activities by enticement such as bubbles or wind-up toys—slowly extending the length of engagement and then introducing opportunities to make requests. These can be a reach or a look to start, then shaped to become increasingly sophisticated. Participant: How can we acclimate students new to “first/then”? Murray: Start with a very direct “first” (short demand)—such as “give me block.” “Then” provide a reward that takes place immediately and in the same environment. If there is too much delay between the “first” and the “then” before the concept is established—the reward is lost. Once the concept is understood, then you can slowly increase the length of the “first” (the work portion of the first/then schedule). Participant: Are you aware of anxiety surrounding unpredictability in a young population (younger than 3)? And how would it manifest? Murray: I don’t know that we have very good methods to identify anxiety in young children. But since we know that children with ASD often have difficulty understanding the rapid pace of the world around them and difficulty understanding expectations, use of supports to reduce anxiety would be helpful. At a minimum, visual supports to support verbal language and clarify expectations could only benefit. Although not identified, I usually accommodate as if it is present. Participant: I work with middle-school–age students, and many of them are self-conscious about using picture schedules, even small ones concealed in a day planner. Do you have any suggestions for how to incorporate these schedules in a more concealed way? Murray: I advocate for ongoing visual supports regardless of level. Executive-function issues are seen at all levels of ASD, including very high functioning, so reliable use of external supports to organize is an important life skill. Perhaps use a written schedule if appropriate, or a schedule on a phone or other electronic device. It is important that we continue to modify the visual supports to meet the person’s needs as they age and skills advance. Perhaps work with the students on options and come to an agreement on method. These options would be revisited frequently to be sure they are useful and meet the student’s needs. As another thought, you may want to remind your students that we all need schedules and point out how you use your calendar or phone reminders and that it’s likely their peers are using calendars, too. Middle-school students don’t like to be perceived as different, so the more we can normalize, the better. Participant: Do you find that sharing the information on co-occurrence research to be helpful with steering parents toward early ASD evaluations, followed by professionals as they develop into teenage years? Murray: Families move at their own pace and we should be respectful of where they are in the process. I’m not sure this information will help, but you can always share concerns for any co-occurring conditions if you suspect they may be impacting the child’s performance. The parents may be more willing to address co-occurring symptoms before they are willing to participate in a formal diagnostic process for ASD.